Tickets for Dubai Opera, the city’s first purpose-built multi-format performing art theatre, are now on sale on the venue’s website. 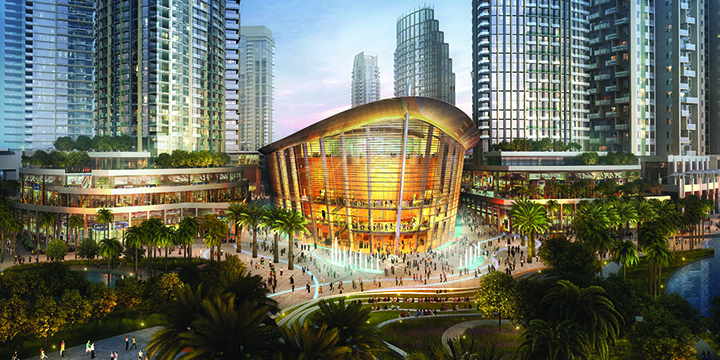 The theatre, which is located in Downtown Dubai and overlooking the Burj Khalifa and Dubai Fountain, is set to open its doors on August 31 this year. It will welcome a line-up of world-class performances including works by renowned tenor Placido Domingo, The Barber of Seville by Rossini, The Pearl Fishers by Bizet, and the Giselle and Coppelia productions of The Russian State Ballet. The Dubai Opera includes a proscenium arch theatre, an acoustic concert hall, and a 2,000 square metre flat floor event space. It has the capacity to seat 2,000 individuals for a theatrical production and 1,000 for a gala dinner. Its design is inspired by vintage dhows that reflect the heritage of Dubai as a port city.